Okay, these are definitely not winter boots but it’s a good thing we don’t have any snow right now because I’m really digging these Zara boots. These boots can be a nice pop of colour to any outfit. Zara always has such cute shoes and booties. I’m not always sure if I can pull them off but I am getting a little bolder and pushing my limits. Why not right, it’s fashion. Fashion is supposed to be fun otherwise we would all be wearing the exact same clothes day in and day out. 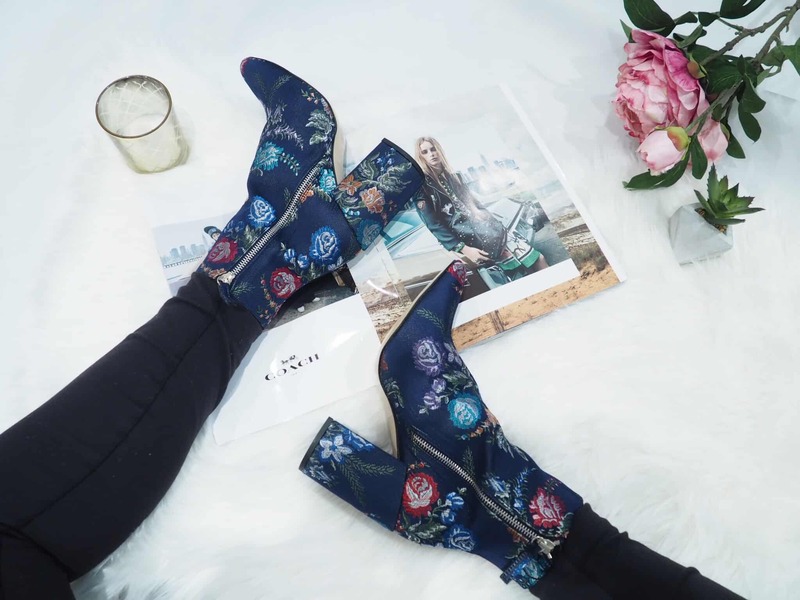 What do you think of these boots – how would you wear them? Wow I actually love those, good ol Zara coming in nicely with those- I’m like you, I wear a lot of black so putting some color pop in your shoes helps A LOT. Totally fab!! I think I’m in love <3 the colour and pattern add real flare to any outfit! I feel your “fun” boots have a 70’s thing going. I would probably wear them with a short A-line dress or caftan, which I personally love wearing. The caftan that Is. A one color maxi dress might also work. Let the boots make the statement! very pretty and unique, it’ll go great with blank pants or leggings, as well as jeans.